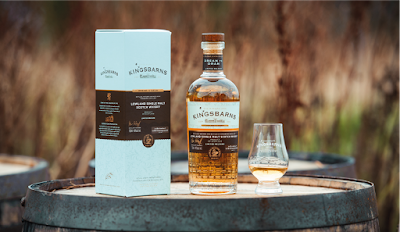 Kingsbarns Distillery, has today announced the launch of their first flagship single malt Scotch whisky expression. Their long-held dream however was to make fine single malt whisky in Fife. When approached by former professional Kingsbarns Golf Links caddy Douglas Clement in 2010 with the idea of converting the semi derelict B-listed farm steading at Kingsbarns into a new distillery for the ‘home of golf’, their dream began to take shape. After a three-year restoration project which carefully retained the building’s ancient features and charm, the distillery was officially opened on St Andrew’s Day 2014, with the first whisky laid down in March 2015. 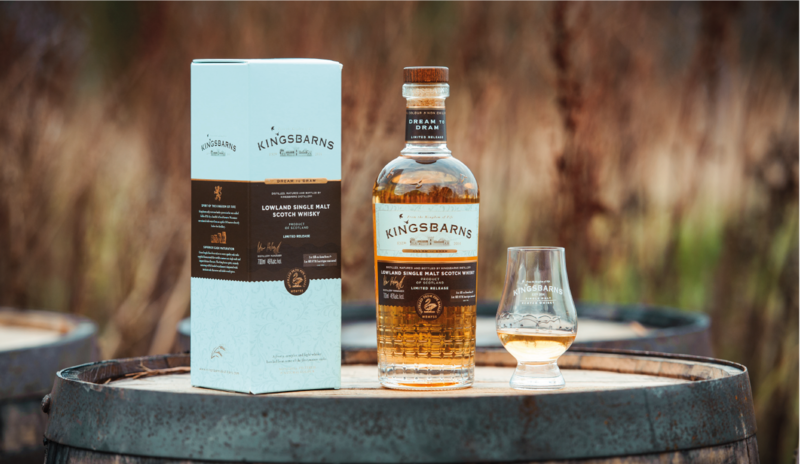 This first general release bottling from the Kingsbarns Distillery, is said to be light, intensely fruity, floral and balanced, delivering notes of banana, pineapple syrup and summer berries on the nose, followed by notes of soft toffee, custard pastry redcurrants and ginger syrup on the palate. Dream to Dram, follows on from the limited-release ‘Founders Reserve’ bottling, which was available exclusively to Kingsbarns Distillery Founders Club members, in December 2018. Kingsbarns Dream to Dram, is now available direct from the distillery and later this month from specialist retailers, for a RRP of £44.95.